This 8 day fun packed adventure takes you white water rafting in paddle-powered boats for one of the wildest raft rides on the planet. 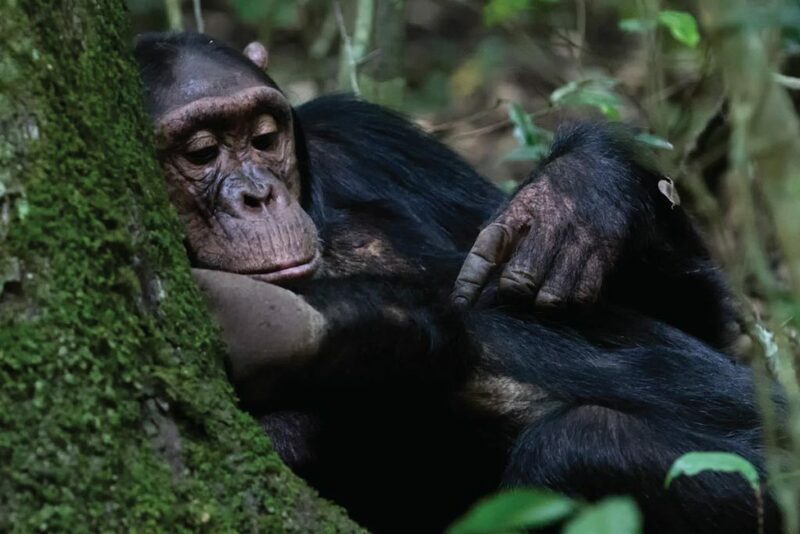 It also leads you to visit the Chimpanzees of Kibale tropical forest, hike to spend a night on the Rwenzori Mountain and finish with a thrilling encounter with the mountain Gorillas. This safari is adrenaline packed come ready. Today we head to Jinja the adventure capital of Uganda, in the early morning for white water rafting. On arrival all the rafting participants are briefed and choice is made between the paddle-powered boats and rowing downstream by professional guides in the safety raft. After breakfast our driver/guide picks you up for the transfer to Fort portal/Kibale Forest National Park with lunch en-route. On arrival proceed for a guided scenic walk to the crater Lakes of Ndali and to “the top of the World”. Head into Kibale forest after a relaxed breakfast for a brief on the park rules before walking into the forest lead by a ranger guide. 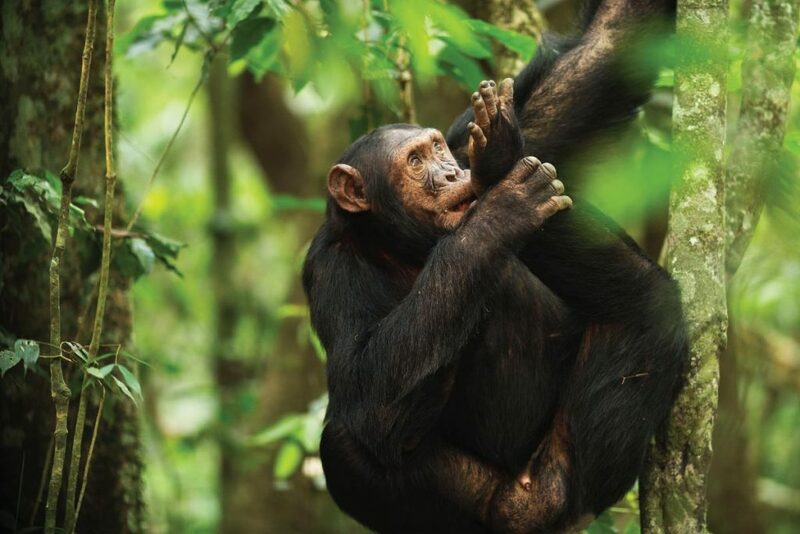 The chimpanzee search in the forest also includes chances of seeing 10 other primates like: l’hoest’s, black and white Colobus, blue and red tailed monkeys plus the grey cheeked mangabey among others. The ranger guides will give you informative insight about the forest’s fauna and flora for a rewarding forest experience. This walk is also great for bird viewing. After lunch we will embark on a relaxed drive to the Rwenzoris for the night. Dinner and overnight at Equator Snow Lodge ((High end lodge) or Hotel Margherita Kasese (Moderate facility) or Ruboni Community Camp (Budget facility). Start the day early heading to Rwenzori Mountains National Park Headquarters at Nyakalengija, 1.646 m, high, for briefing and to look into the possibility of hiring equipment. The hike starts through the plantations and homes of the Bakonjo people of the mountain, and through a vegetation of elephant grass. Continuing upward along Mobuku River will bring you to the Mahoma River. The trail cuts through open bracken fern slopes and Podorcarpus Forest, up to Nyabitaba Hut, at 2.652 m, which is the arrival point for the day. This hike lasts about 5 to 6 hours. 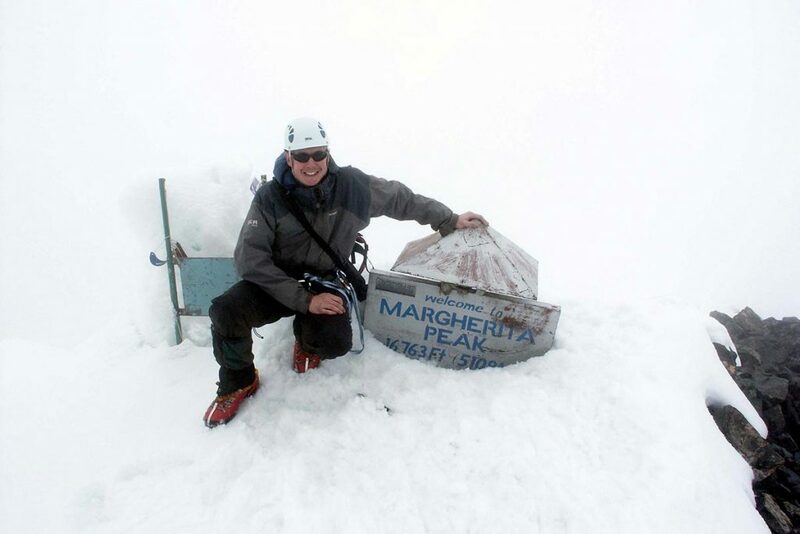 From the location, you are facing on the North, the Portal Peaks is 4.627 m. and at the front is Mount Kyniangoma. 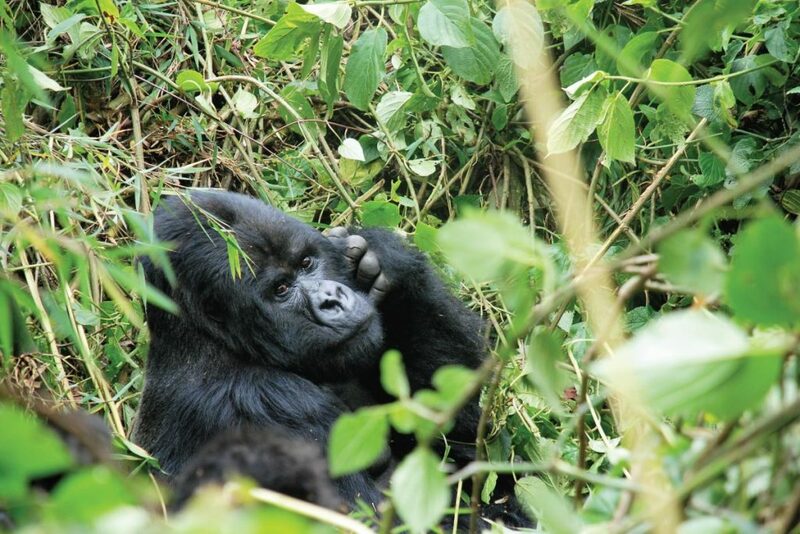 During the day, you might see monkeys, the Rwenzori Turaco and hear the chimpanzees. Trek from Nyabitaba Hut as you descend to back to Nyakalengija. Descend steeply off the ridge and notice the warm rain-forest. Look out for the tropical forest birds and monkeys. After lunch, proceed to Bwindi via Queen Elizabeth National Park and here you may spot many wildlife including Elephants, Buffaloes and more. This is one of plushest highland rain forest on earth, filled with primates and exotic birds, valleys, hilltops and papyrus swamps. Today is dedicated to Gorilla tracking which begins at 8:00 am with a briefing from the Uganda Wildlife Authority rangers before heading into the forest lead by the ranger guides. Please bring with you a rain jacket, drinking water, snacks, comfortable covered walking shoes or hiking boots, insect repellent, hat and wear trousers to avoid scratches from the vegetation. 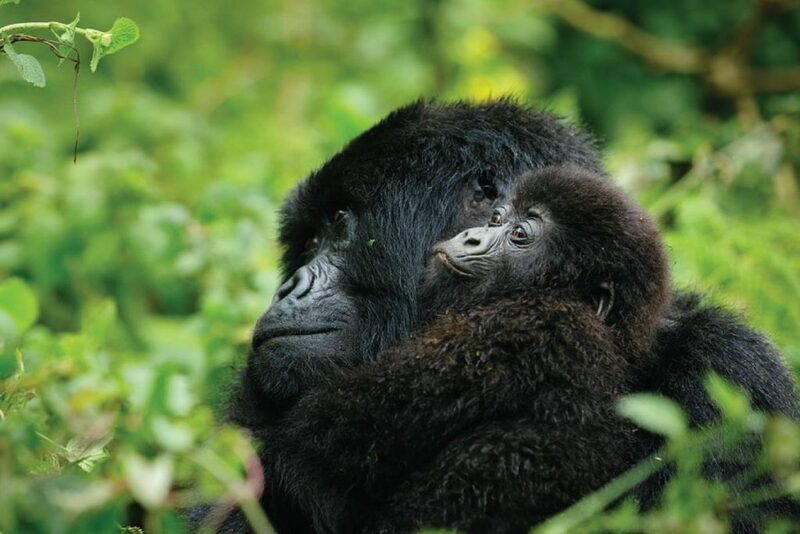 You will be lead to see the gorilla group/family you have been booked to visit and don’t forget to take your lunch boxes and all the necessary gear to track the rare Mountain Gorilla. This is perhaps one of the most exciting wildlife experiences on earth. The tracking may take between 2 and 8 hours but it’s all well worth the effort. On return from the jungle you can go for a village Walk/ Community visit if time allows for a great opportunity to see how the local people live. This is a delightful moment in Bwindi because you get to learn and have fun with the indigenous people. After breakfast, drive to Kampala, with lunch along the way, a stop at the equator for photography and to have a look in the curio shops for souvenirs from Uganda the pearl of Africa. Continue to be dropped off at a hotel in Entebbe for an early morning flight home the next day. Meal plan Breakfast and Lunch.